As for impact structures in general the roughly 25 km-diameter Ries crater that formed in the Tertiary (Miocene) some 15 Mill. years ago is a relatively young structure. 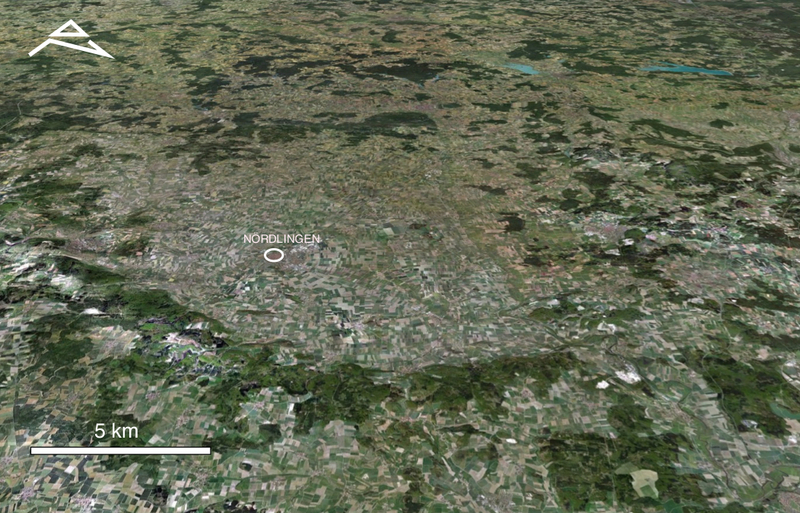 Nevertheless, in a satellite imagery (Google Earth, oblique view) it is not so much impressive. This is because of the up to 400 m thick lake sediments that were deposited after the impact in the Ries basin and that are now widely masking the structure. The widespread Quaternary loess having accumulated within the crater is the basis for an intense agriculture in the fertile Ries plain. 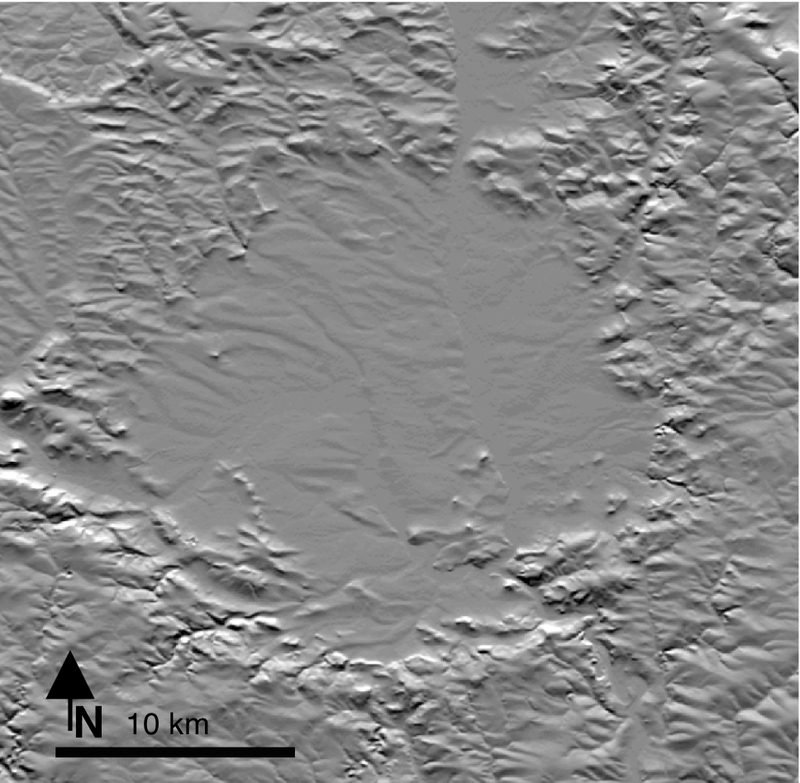 On a topographic relief map the impact structure, its rim and the Ries plain are delineated much more distinctly. A few hills emerging from the Ries plain are belonging to the so-called crystalline or inner ring with a diameter of roughly 10 km. Source: Landesamt für Vermessung und Geoinformation Bayern. A comparison of the Ries crater relief map and an image of the Kaiser crater on Mars (NASA) is instructive. 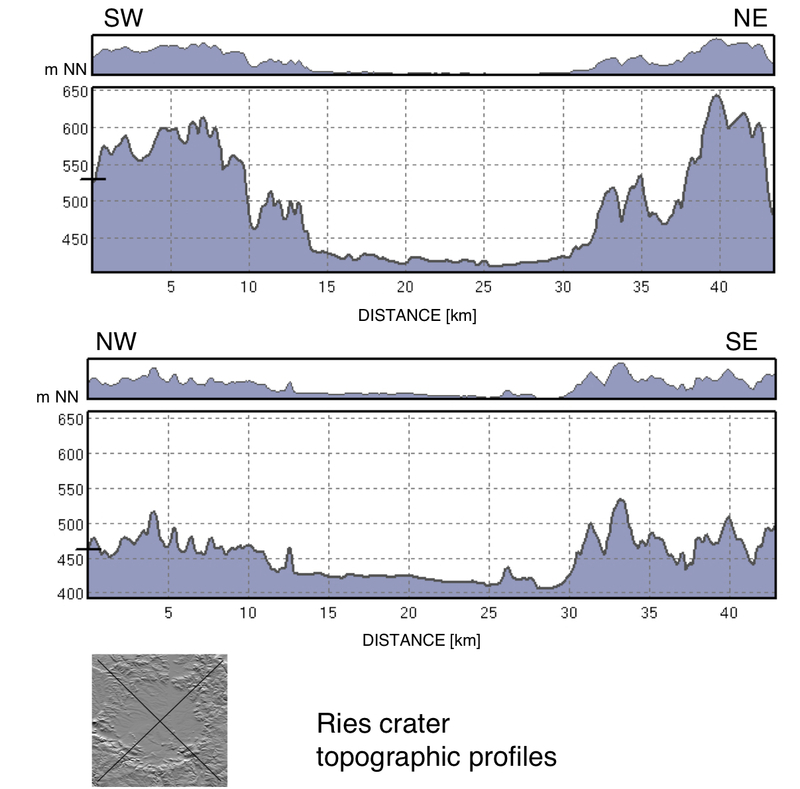 Topographic profiles crossing the Ries crater. Source: Landesamt für Vermessung und Geoinformation Bayern. A frequently shown aerial photo of the the Ries crater nicely delineated by a ring of clouds that have developed over the hilly crater rim by special thermal conditions. 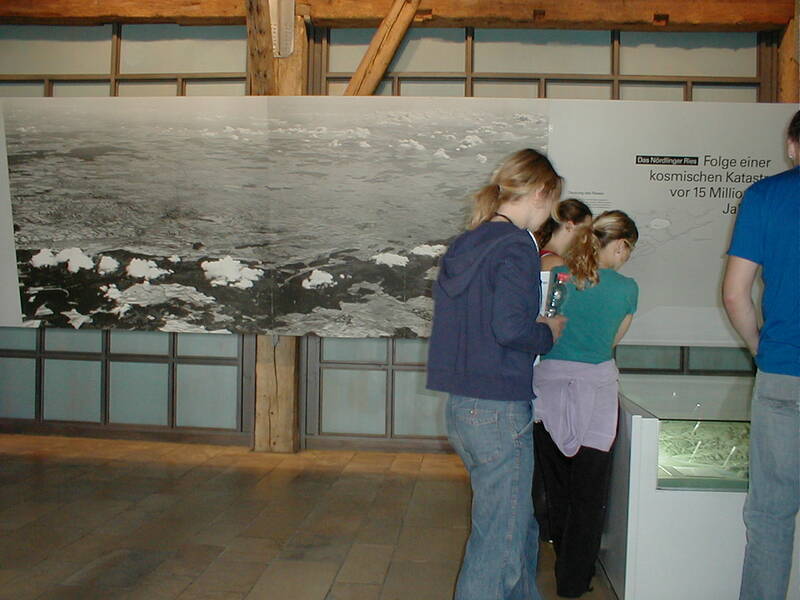 – The image decorates a wall in the Ries crater museum in the town of Nördlingen.